The oil market is vibrating, and crude oil prices are bobbing up and down like a float on the water. Around the world, experts make analysis and try to explain why. The fact that the price of crude oil is approaching $60 per barrel and the production costs for the same barrel fluctuates between $1 and $10 shows that common economic theories are not valid any longer, something new is in the air and the question is how to interpret today’s vibrations. 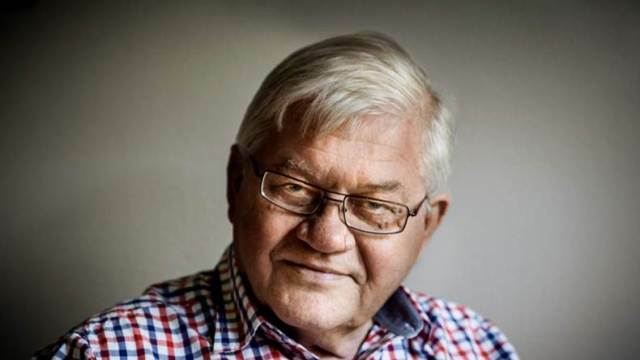 Since 2001, the start of ASPO, Association for the Study of Peak Oil&Gas, we have tried to make the world aware of the fact that in a short while, we will have a problem supplying the world with crude oil when the demand is rising. We call it Peak Oil. The year for the peak at the first depletion workshop in Uppsala, Sweden, in 2002 was 2010, and in Berlin, in 2004 it had moved to 2008. Now it might be that the peak will come even earlier. The exact year depends very much on demand in the future, and we will not know when we have peaked until we have crossed the threshold. 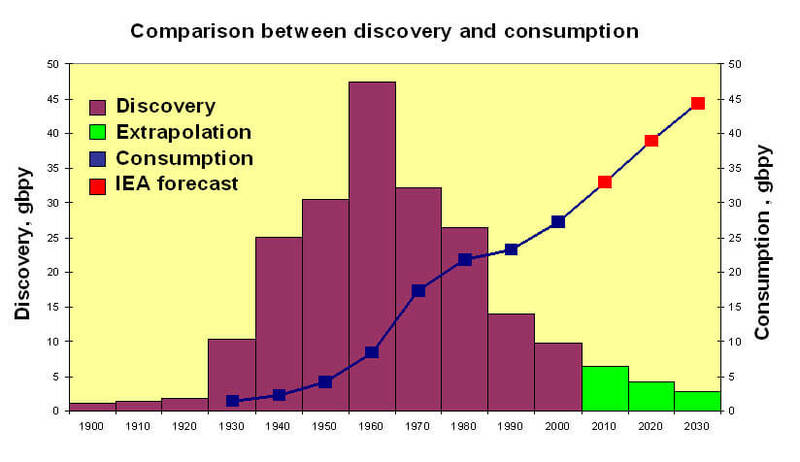 Figure 1: Discoveries fluctuate from year to year obscuring the long-term systematic trends. But a smoothed curve of discoveries over 10-year intervals gives a rather smooth curve. This figure is smoothed such that the average discovery from 1956 to 1965 is attributed to 1960. Unfortunately, very few have listened to our alerts even though the signs have been so significant that even a blind hen should have seen them. Fifty years ago the world was consuming 4 billion barrels of oil per year, and the average discovery was around 30 billion. Today we consume 30 billion barrels per year, and the discovery rate is now approaching 4 billion barrels of crude oil per year. 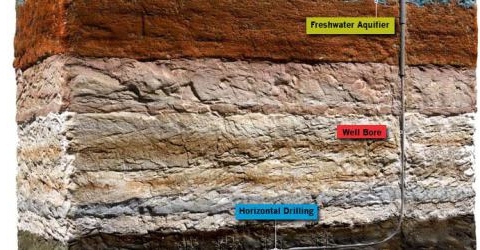 If we make an extrapolation of the downward discovery slope from the last 30 years, we find that about 134 billion barrels will be found over the next 30 years. That would not be a bad achievement, being more than double the North Sea, which is the largest new province found since the Second World War. But it comes far short of providing sufficient discoveries to meet the IEA  scenario, which visualizes the consumption of 1000 billion barrels over the next 25 years, even though some of it may be drawn from reserves left over from past discovery. Figure 2. 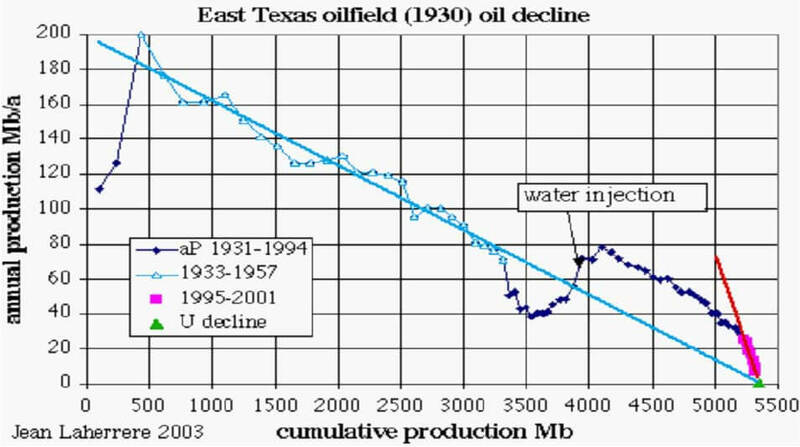 Annual production from the East Texas oilfield from the start of production till 2001. 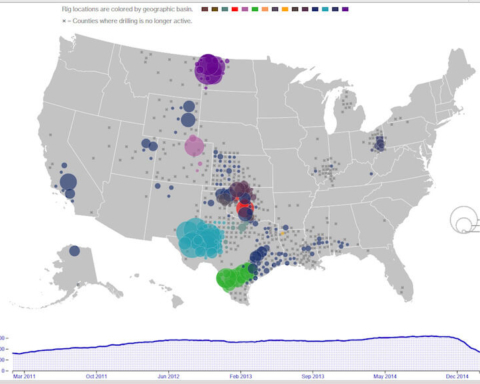 Each oilfield has a time when it reaches maximum production. One of the 40 largest oil fields in the world is the mythological East Texas field. They discovered the field in 1930, and some years later they reached a maximum production After a plateau production of 160 million barrels per year it started to decline in 1936 and when the production was 60 million barrels per year at the end of the 1960s new technology was applied. By injecting water into the field, the production rose to 80 million barrels, but since then the production has continued to decline and is now producing less the 10 million barrels per year. If you study the production from existing oilfields, experts around the world agree that the decline is between 3 and 5 percent. It means that all the oilfields that today produce 84 million barrels per day, m/bpd, will next year at this time produce 80.6 M/bpd and in the year 2030, 30 M/bpd. 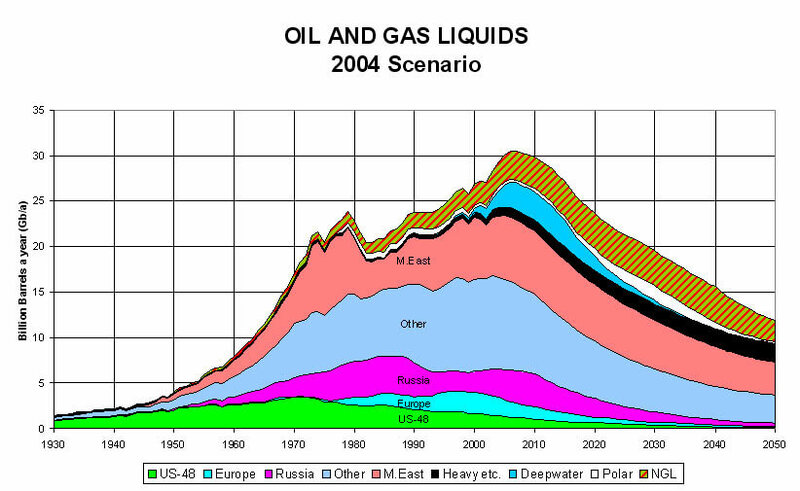 In the World Energy Outlook 2004, the IEA predicts that we will need 121 M/bps in 2030. In other words, we need to find more than 90 M/bpd in new production. The world needs ten new Saudi Arabias. Someone might call me a Doomsayer, but if so I’m accompanied by Sadad Al Husseini, as this is a citation from him. He was until recently vice director of Saudi Aramco, the largest oil company in the world. Of the 65 largest oil producing countries in the world, 54 have passed their peak of production just like in East Texas, and they are now in decline. Indonesia, a member of the oil-exporting club OPEC , can’t produce their production quota. But the most astonishing thing is that they now can’t produce enough oil for their consumption, they now belong to the oil importing countries. Six years from now five more countries will peak in their oil production. Cantrell in Mexico is the second largest oil-producing field in the world. Next year it is expected to start to decline, and the whole production in Mexico will decline. China has for the last five years has been fighting hard to keep their production flat, and the probability for them to keep it up is not very high. By 2010 the following countries have the potential to produce more oil than they have ever produced before; Saudi Arabia, Iraq, Kuwait, United Arab Emirates, Kazakhstan, and Bolivia. These countries will have to cover the decline in 59 countries and the increased demand from the rest of the world. Anyone that can provide information showing that this is possible must do it now. At the beginning of the 1980s, Saudi Arabia produced 9.6 million barrels per day. According to the scenarios of the IEA World Energy Outlook 2004 and the US EIA  International Energy Outlook 2004, Saudi Arabia must produce 22 M/bpd by the year 2030. Sadad Al Husseini just calls it plug-in numbers and claims, the American government’s forecast for future oil supplies are a dangerous over-estimate. The largest oil field in the world, Ghawar, is in decline, although Saudi Aramco says that the production can be increased to 12 M/bpd in the year 2015. They are not talking about 22 million barrels per day. In 1979 Iraq produced 3.4 M/bpd. The official reserve data claims that they have 112 billion barrels of crude oil. We think that one-third of the reported reserves are just political barrels. The reserves of Iraq were recently discussed in London, and the number that has leaked out through closed doors is 46 billion barrels. If this is the case, it will be hard for Iraq to reach their past peak production. It’s time to ask, can the Middle East come back to the peak numbers from the 1970s? Recently a report titled The Mitigation of the Peaking of World Oil Production was handed over to the Department of Energy. 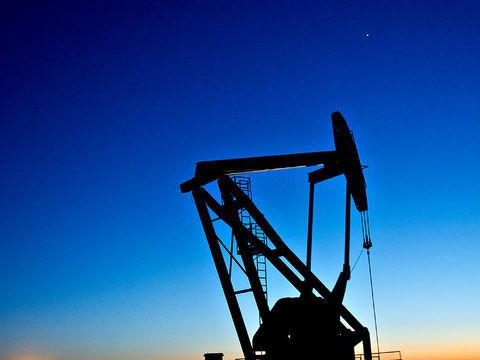 The report claims that World Oil peaking represents a problem like none other. The political, economic, and social stakes are enormous. Prudent risk management demands urgent attention and early action. If you start a serious program today, it will take 20 years before completion. 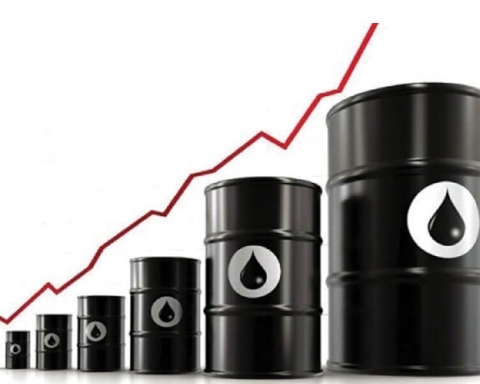 A real tremble was felt from the Goldman Sachs alert, which predicts the price ceiling for a barrel of crude to reach 105$. “We believe oil markets may have entered the early stages of what we have referred to as a super spike period, they said. We call it Peak Oil. Scientists and government authorities that noticed the earthquake that caused the tsunami in Thailand are blamed for not making a tsunami alert. They were afraid that the warning would hurt the tourism industry. I think it is time for energy authorities around the world to make an oil supply tsunami alert. The vibrations we are now feeling might turn into a wave of incredible magnitude. If we start doing something right now, we might be able to build a breakwater. If not, we will face an event that could change the life, as we know it, forever. The IEA, International Energy Agency, was established in November 1974 in response to the oil crisis in the early 1970s as an autonomous inter-governmental entity within the Organization for Economic Cooperation and Development (OECD) to study energy supply and security, and advise the member nations accordingly. IEA has 26 member countries. OPEC, the Organization of the Petroleum Exporting Countries, was formed in 1960, and its current members are Algeria, Indonesia, Iran, Iraq, Kuwait, Libya, Nigeria, Qatar, Saudi Arabia, the United Arab Emirates and Venezuela. EIA, the Energy Information Administration, was created by Congress in 1977 and is a statistical agency of the U.S. Department of Energy. Previous Story Previous post: Just how much oil does the Middle East really have, and does it matter? 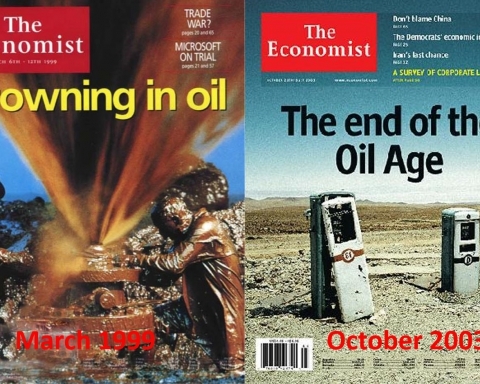 Next Story Next post: How much crude oil is there to discover in the future?